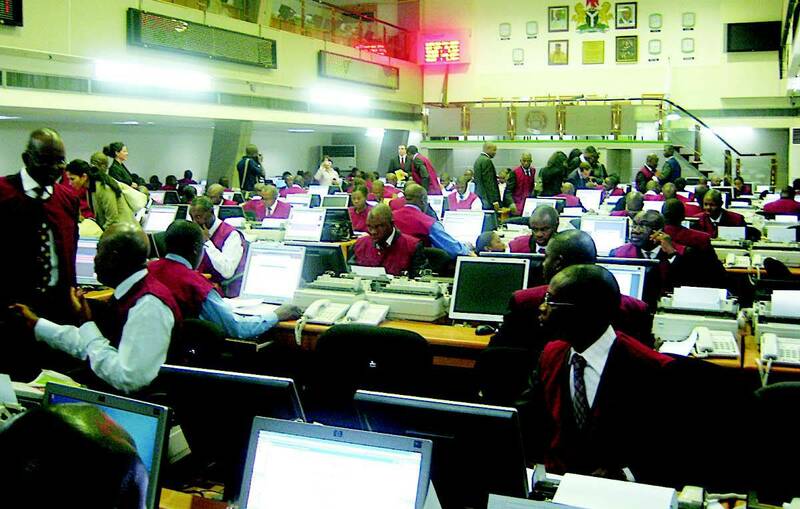 The Nigerian Stock Exchange (NSE) on Friday extended price depreciation for the third consecutive day with the indices plunging further by 2.45 per cent due to profit booking. The News Agency of Nigeria (NAN) reports that the market capitalisation dropped sharply by N279 billion or 2.45 per cent to close at N11.107 trillion against N11.386 trillion achieved on Thursday. In the same vein, the All-Share Index shed 806.30 points or 2.45 per cent to close at 32,122.14 compared with 32,928.44 posted on Thursday. NAN reports that major blue chips recorded price drop, with Dangote Cement leading the losers’ table with a loss of N9.40 to close at N195.60 per share. Nigerian Breweries trailed with a loss of N6.13 to close at N131.90 and Okomu Oil dipped N3.24 to close at N61.56 per share. Lafarge Africa was down by N2.55 to close at N48.60 , while CAP depreciated by N1.74 to close at N33.25 per share. Conversely, Ashaka Cement led the gainers’ chart with a gain of 81k to close at N17.08 per share. Oando improved by 33k to close at N7.24 and Transcorp Hotel gained 32k to close at N6.87 per share. Champion Breweries appreciated by 26k to close at N2.93, while Guaranty Trust Bank advanced by 16k to close at N34.50 per share. Also, the volume of shares traded closed lower as investors bought and sold 41 7.57 million shares worth N3.25 billion transacted in 5,456 deals. This was in contrast with a total of 509.76 million shares valued at N5.03 billion exchanged in 5,321 deals on Thursday. Transcorp emerged the most active, trading 71.61 million shares worth N99.36 million. Access Bank followed with an account of 65.50 million shares valued at N593.65 million, while FBN Holdings traded 48.87 million shares worth N287.56 million. FCMB exchanged 31.43 million shares valued at N37.41 million and Zenith Bank exchanged 30.50 million shares worth N621.84 million.